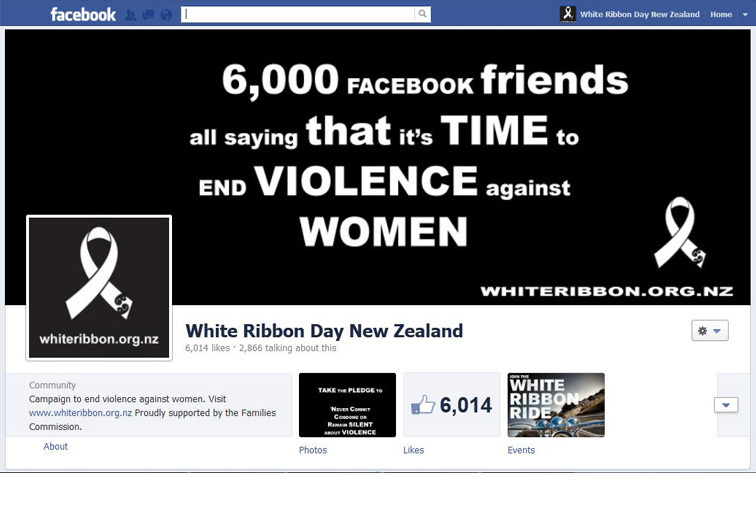 White Ribbon has a very active Facebook site which keeps you up-to-date on news and ideas from around the world. As of September 2012 we have nearly 6,000 members and up to 10,000 people looking at the site each week. It’s a busy site with tons of ideas and a great medium to find out about local initiatives. If you have ideas or posts you wish to have placed, message us on the site and if appropriate we can share them with the White Ribbon community. Or send us news items or pictures from your local community that can help inspire, create debate or simply recognise the actions of others.